The head pastor of a large Canadian church has failed to return from a humanitarian visit to North Korea. 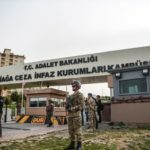 Reverend Hyeon Soo Lim, 60, had made hundreds of trips to the secretive state where he helped oversee an orphanage, a nursery and a nursing home. 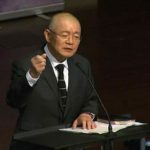 Speaking on behalf of the Light Korean Presbyterian Church, Toronto, where Lim has been head pastor for 28 years, Lisa Pak said they had not heard from him since January 31. 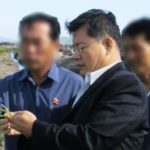 Just before his disappearance Lim was invited to North Korea’s capital Pyongyang, according to Reverend Chun Ki-Won, a South Korean missionary helping North Korean refugees. At first, they thought he might have been subject to a 21-day quarantine period imposed on arriving travellers due to the ebola risk, but that period would now have ended. Several American Christians have been detained by North Korea in recent months.